Adrigo is a Latin word meaning “to grow”. Naturally this is the broad objective for our Funds, Adrigo Hedge and Adrigo Small & Midcap L/S. 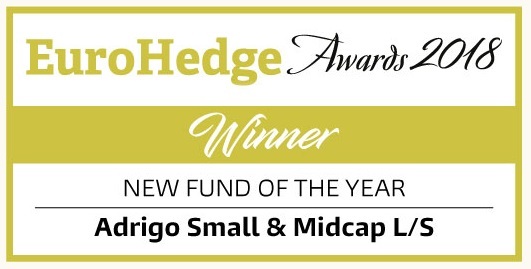 The Founders and Investment team have invested in Adrigo Hedge since its inception. The Fund’s targets are to achieve good absolute return at a lower risk than in the Nordic equity markets. How do we manage the funds to achieve that target? We analyze corporate accounts, meet with managements, and interview people who provide insight into the outlook for a company or industry. We seek to establish a view as to whether a stock is under or overvalued and, importantly, to identify catalysts which might drive a revaluation. Our methodology for fundamental research has been successfully applied in both up and down markets. Each year we meet with more than 200 companies of interest in the Nordic markets. We get to know the management and often also the company’s suppliers, competitors and customers. The latter we see as ‘alternative information’, i.e., an important check on information obtained from a company’s management, web pages and research reports. We also examine official share registries for important signals as to how company insiders are changing their positioning. We are not locked to a certain valuation model, but above all we look at cash flow based models. A company’s cash flow generation is becoming increasingly important to look at considering all the accounting rule changes seen in recent years. It is important for us to understand the valuation outlook for our investment, both when it comes to the potential, and the risks involved. Some examples of areas where we do not invest are biotech or exploration companies, where it is virtually impossible for an external analyst to determine the value. We prefer to dig where we stand, i.e., to operate solely in the Nordic region, where our careers have been focused for close to 30 years. This is where we should best understand how things work, and this is where we have our contacts. In our funds, all investments are in the Nordic region, which we deem the safest place for us to invest. In order to reduce risks, we invest mainly in large or medium sized companies where liquidity in the underlying stocks is good. This means that we can adjust our positions faster, which should be a comfort to all investors in Adrigo Hedge. Our portfolio normally consists of 25-35 equity holdings and 25-35 short positions. A short position makes a profit if the underlying stock declines in value. A short position is established by borrowing shares to sell in the market, with the objective of buying them back later at a lower price. By combining long and short positions it is possible for the fund to achieve positive returns in both up and down markets. Furthermore, we aim to spread our positions over different types of companies and industries, again with the aim to reduce risks. In normal markets, our net exposure to stocks is between 20-50% which means that the Fund normally does not rise or fall as much as the market. 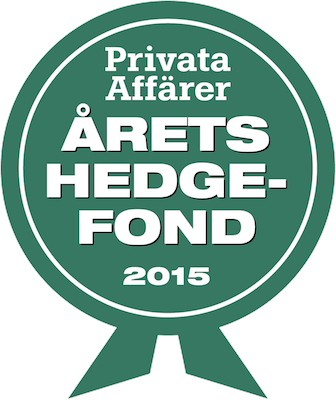 Adrigo Small & Midcap L/S invests in Nordic Small & Midcap companies. The portfolio normally consists of 15-25 equity holdings and 15-25 short positions. The net exposure to stocks is between 20-40%. – Based on the prerequisites of the Fund, voting rights shall be exercised in the common interests of Unit holders in the Fund. – Voting rights must only be used in line with the Fund’s stated objectives and within its investment policy. – The Fund Management company will normally not be active in its ownership, i.e., not to be an activist investor aimed at influencing the management of the underlying companies. – The Fund Management company will mainly use its ownership influence without making demands for Board representation.